This small component plays a big part in the Brompton's folding process. 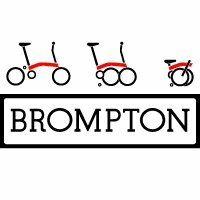 The Brompton Lower Stop Disc prevents the Brompton unfolding in an unplanned manner. The Lower Stop Disc is bolted to the Brompton's rear brake nut where it butts against the seat pillar when the bike is folded, thus preventing the rear wheel from unfolding.